Say hello to these savory, plant-based Lentil Meatballs with Garlic Butternut Squash Sauce for these cooler months! We’re switching up your classic marinara sauce by topping with a butternut squash sauce to keep your taste buds on their toes. Plus squash is in season so you should be able to find it at your local farmers market or on sale in the grocery store. 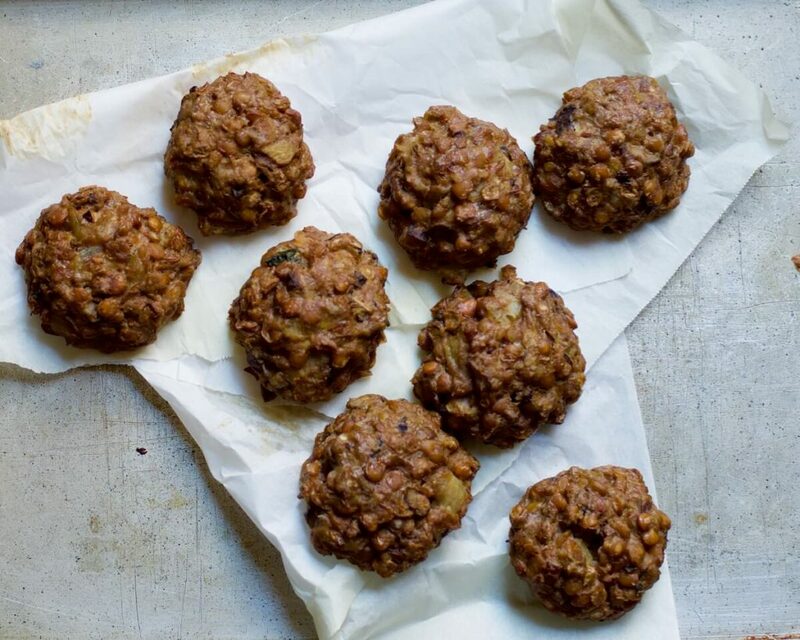 Lentil meatballs are an excellent way to keep your standard favorites with a plant-based spin. Lentils are fantastic source of protein with a perfect combination of carbohydrates and fiber. They are in the pulse family, which offer a number of benefits. Pulses are a great source of B vitamins, potassium, iron, zinc, magnesium, and calcium. Thanks to the complex carbohydrates, fiber, + protein, they help to keep your blood sugars regulated throughout the day. Let’s get this recipe going. Start by preheating the oven to 340F. In a small pan, heat the olive oil and add the onion and ginger. Sauté for a couple of minutes over medium heat, and then add the mushrooms. Cook with the lid on for another couple of minutes and set aside. In a blender or food processor, pulse 1/2 of lentils and add the pulsed lentils and whole lentils to a bowl. Add salt & cayenne pepper to taste, the sautéed mushrooms, and then mix in the flax and egg well until everything is uniform. With your hands, form 7-8 lentil balls. Add the meatballs to a parchment paper lined baking sheet, and pop in the oven for 25 minutes. While that’s baking, boil the squash for 15 minutes or until tender. Add the cooked squash + rest of sauce ingredients to a blender. Blend until smooth and set aside. Once the lentil balls are done, add them to a serving dish and pour the sauce onto them. 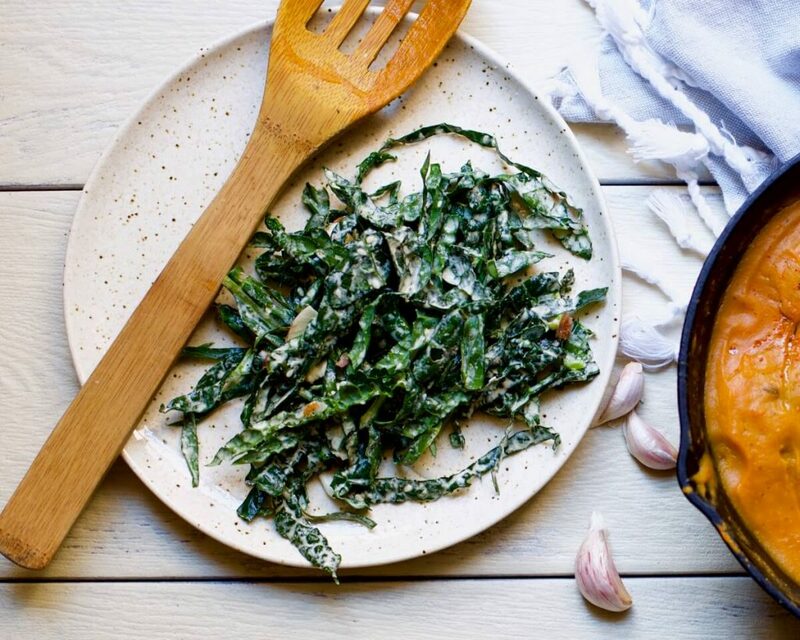 Pair these delicious lentil meatballs with some kale or your favorite whole grain for a balanced, delicious meal. And for those of you wondering what to make for your next holiday gathering…this is it! 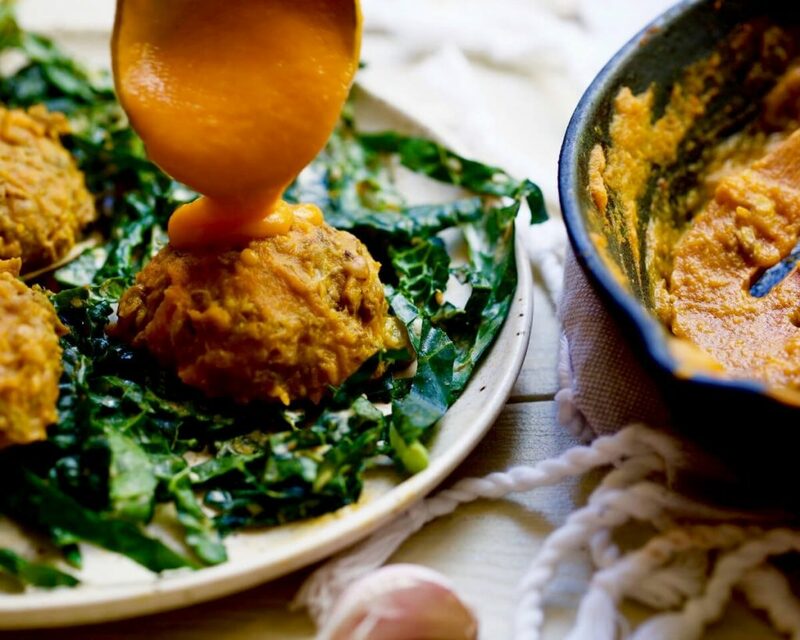 What do you think about our Lentil Meatballs with Garlic Butternut Squash Sauce? Have you made a butternut squash sauce in the past? Drop us a comment below! Serve over your favorite salad, pasta, or grain!